Place either previously soaked or canned peas in a pot. Add enough vegetable stock to cover the peas with an inch of liquid over the top of the peas. Add Backyard Blend (we made a lot so we used 1 TBS for roughly 8 cups of peas). Optional: add ham or bacon. We froze our smoked ham from Christmas so took this opportunity to use it... thawed, diced, then added. Boil until liquid reduces so that only a small amount is at the bottom of the pot. Devein, chop, and wash the greens. Place in a pot with vegetable stock (we used one container of stock for two bushels of greens). Add crushed cloves of garlic (we used 5) and 1TBS of Backyard Blend. Finally, add a dash of apple cider vinegar. Cover and place in the oven at 350° for about an hour. Optional: add ham or bacon. We used left over smoked then frozen ham from Christmas... thawed then diced. Enjoy all of those yummy summer flavors in one great dish! Combined your favorite veggies (peas, carrots, olives, cucumbers, tomatoes, and red peppers pictured here) with cooked tortellini pasta, olive oil, white wine vinegar, parmesan cheese, and a hefty pinch of Backyard Blend. Add chicken cooked in white wine and Backyard Blend to turn this side into a main! Once the initial veggies begin to become tender, add sliced leeks and chopped onions and return to the oven. Remove when all veggies are aldente (they will finish cooking once placed in the pie crust). 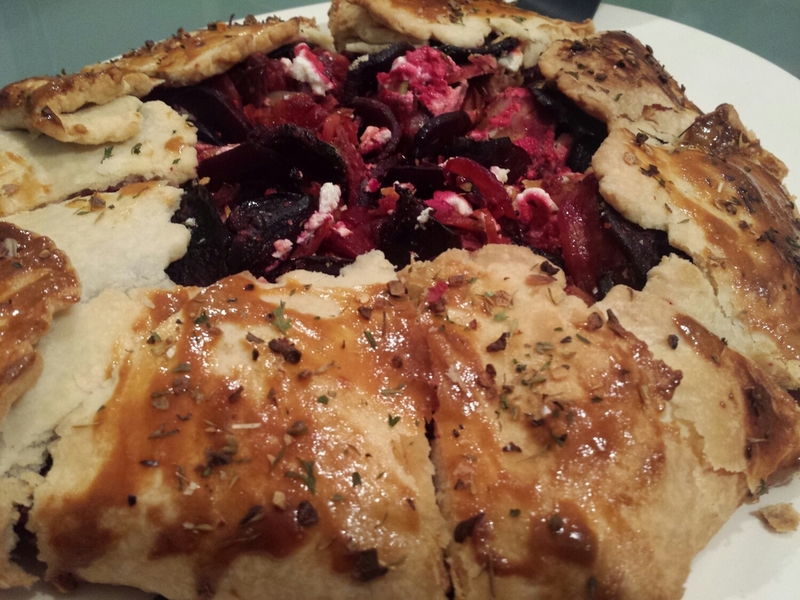 Allow the veggies to cool then arrange in your pre made pie crust with crumbled goat cheese. Finish the crust with brushed egg yolk and another tsp of Backyard Blend. Bake at 400° for 45 minutes or until crust is golden brown.